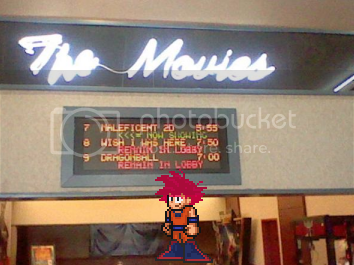 I was at a theater in the evening, a great big theater that, despite its size, was well off the beaten path, and despite the high price, I enjoyed myself because the movie I was there to see was a little art house movie called Dragon Ball Z: Battle Of Gods. Maybe you've heard of it. It's kind of an independent film, I doubt most of you are that familiar with the franchise. It draws heavily from some little Japanese comic from the 80s and 90s. I only go to see the most obscure works to ensure that my experience will be unfettered by mainstream appeal, so you'll have to forgive me if you're scratching your head not knowing what I speak of. But trust me, in Japan, some people have actually heard of it, somewhat. Dragon Ball Z: Battle Of Gods, for those of you not privileged to be a part of this little niche of anime fandom, is the fourteenth movie under the DBZ title, and the first in almost two decades to be released. It follows the exploits of aliens, gods, rich people with too much time on their hands, and comic relief monsters. Our plucky brain damaged hero Son Goku challenges the God of Destruction, Lord Beerus, a purple Egyptian cat-man who still looks more believable than Mike Meyers in that The Cat in the Hat live-action torture. The backdrop is a lavish birthday celebration for Goku's longtime friend Bulma, at which said Catmandude searches for the "Super Saiyan God" in his premonition. Not satisfied with simply being an ordinary Super Saiyan (3), Goku combines his powers with others and summons Captain Plot Device. Hijinks ensue. Of course, while I prefer to watch my Japanese cartoons in pure Japanese, with a translator from Tokyo University sitting on one side of me and Steve Simmons sitting on the other side while psychics beam the conscious thoughts and intents of the production staff directly into my brain, rather than read paltry subtitles, I was forced to instead watch this feature in the coarse, commoner American English "language", with its cultural appropriations and cisgender biases. Which, while truly tragic and worthy of Tumblr outrage, because I'm a special snowflake with a special snowflake gender identity, just had to do for the evening. The English dub was excellent, to my satisfaction. But was it to my surprise? Well, yes, and no. I realize I have been, shall we say, intensely critical of the various English-language versions of the Dragon Ball franchise's TV shows and movies. Mostly I've zeroed in on Funimation's efforts, since they're the most ubiquitous and astoundingly popular even in today's environment of largely accurate and well-acted English dubs for anime. Needless to say, I have had a lot of frustration trying to convince people that those English versions were, in a sense, not even the shows or movies they were proported to be the dubs for, they were so inaccurate. I've even had passionate rows with both fans of and even on one occasion, a voice actor involved in the English dub of DBZ, the latter of which (unfairly) cost me a position at a prominent website (which, yes, I'm still intensely bitter about). For a franchise that, honestly, doesn't even make my top 10 list of favorite anime, I spend perhaps an inordinate amount of time harping on the English dub for it. But it wasn't as though I was totally shocked the dub for Battle of Gods was great. Dragon Ball Z Kai, the "abbreviated" version of the original Dragon Ball Z television series, has thus far had a good English dubbed version. Not only is it a huge improvement in terms of more accurate, well-worded scripts, but the principal cast have, for the most part, improved greatly. I bought two volumes of this version of DBZ largely to support the dub (though I also did it because the part of the story I bought discs for needed abbreviating the most) and have defended every recast Funimation did in Kai, as they've been major improvements. There's much fewer liberties taken, there are less hokey insert jokes that don't belong, and there's no more insulting US dub music. So it really shouldn't come as any great surprise that I actually quite enjoyed myself watching this new DBZ feature in English in the theater. And I mean, aside from that theater high you get that makes you justify the $10.50 you just spent on the ticket so that you don't cave your head in with a ball-peen hammer out of shame. It was a good enough movie to see again to begin with (though I can understand many of the criticisms leveled against BoG for being "more of the same", or alternatively, "too comical", both making sense in their own way), of course, and the English dub did nothing to harm that enjoyment. Often the best thing an English dubbed version of a Japanese cartoon can do is the same as a doctor should swear to: do no harm. Do not make the movie difficult to get through. Funimation's English dub did that. And while that doesn't appear to be such a high compliment, it is. For one, the prominent roles, the pillars of the movie, were all filled by voice actors that were firing on all cyllindars. Sean Schemmel gave Goku that sense of childlike curiosity and levity I was craving to hear, but still kept that intensity of nerve in combat in his battle screams. Chris Sabat worked overtime getting down both Vegeta's gruff severity and his faux hospitality in his encounter with Beerus. What's more, this quality is maintained throughout the production, despite Sabat's directing duties and his few Piccolo and Yamucha lines. I know, yeah, big deal, it's just one movie, it's not like he had to do as much as with a TV series, but the consistency is appreciated. Jason Douglas is, while perhaps not as personally compelling as Koichi Yamadera, a likeable Beerus, and Ian Sinclair is true to form swishing it up as Whis. Series regulars like Meredith McCoy and Brad Jackson return from their absence in Kai to play 18 and Oolong, respectively, and we get a sneak peek at what the Buu arc of Kai might be like with the inclusion of Kyle Hebert as Gohan and Kara Edwards returning as Videl and Goten. Laura Bailey's Trunks really excels in the feature alongside Edwards' Goten, giving even the original Japanese track a run for its money. But the role to hear was Monica Rial's Bulma, infusing a sassy fun and sincerity to Bulma's slightly tipsy party-going princess/mad genius. If there was ever any doubt that Rial is one of voice acting's great treasures, this movie should erase that. She also cutely voices the Seer Fish. Sharp-eared anime fans might also recognize a voice actress cameo in the form of a law officer with the voice of a certain Major. Of course, maybe most importantly, the script is also quite good. The few liberties it takes can be understood, if not entirely enjoyed. There's nothing to cringe about, and there are some understandable flourishes that are the result of the differences between the Japanese and English languages and how things are translated. There aren't any really notable missteps, just as there aren't too many flubs in performances or casting. 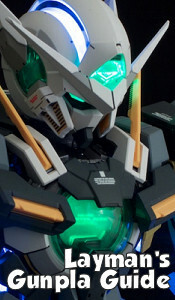 So the entire thing comes off as being a good representation of the Japanese version of the show, just in English. It doesn't try to be anything that it isn't or cast the characters in different lights. Fidelity has always been important to me in English dubs of anime, and this English dub fit my requirements. As I said, not an entirely stunning aspect, because I have come to expect this by now, not just demand it. I easily consider this movie's English-language version the crowning achievement of Funimation's DB crew, certainly of the in-house group. And considering that and the movie itself, it's very likely I'll be purchasing the home release when it becomes available. Until then, if you're a DBZ fan and can catch it in theaters, you really ought to. Just, uh... get the small popcorn. And floss well.